At just 25 grams (0.9 oz), the BRS-3000T is unquestionably the world's lightest canister gas stove. But is it any good? I thought I'd see for myself. The tiny BRS-3000T – only 25 grams!! I think that it's fair to say that the BRS-3000T is the worlds first true super ultralight (SUL) canister stove. What do I mean by "super ultralight?" Well, take a look at the below chart. The BRS-3000T is the first known canister stove to come in under one ounce (about 28 g) in weight. If an upright canister stove weighs less than or equal to an ounce (28 g), that's SUL in my book. If it weighs less than or equal to two ounces (57 g) but more than one ounce, then it's UL. If it weighs less than or equal to three ounces (85 g) but more than two ounces, then it's light. If it weighs less than or equal to four ounces (113 g) but more than three ounces , then it's moderate. If it weighs more than a quarter pound (113 g), then it's heavy. I think that's a reasonable categorization, given the state of the art and the stoves commonly used. So, just how small is this thing, anyway? Well, for comparative purposes, I thought I'd put it side-by-side with some other stoves. On the far left is an MSR Pocket Rocket, a moderate weight stove at 3.1 oz/87 g.
Next to the right with the red base is an MSR Pocket Rocket 2, a light weight stove at 2.6 oz/73g. Next with the yellow base is a FMS-116T (also sold as the Monatauk Gnat and the Olicamp Kinetic Ultra), an ultralight stove at 1.7 oz/48 g.
Last on the right is the BRS-3000T, a super ultralight stove at 0.9 oz/25 g.
Left to right: an MSR Pocket Rocket, an MSR Pocket Rocket 2, a Fire Maple FMS-116T, and a BRS-3000T. Adventures in Stoving is all about testing, ideally in the field. I do typically test at home before taking a stove out into the field. To that end, I fired it up at home. Right away, I noticed that there was a lot impingement of the flame by the pot supports. The pot supports had a fairly dramatic impact on the flame, as shown by the color change in the flame in the photo, below. Put this into the back of your mind. We'll come back to this later. The flame of the BRS-3000T hits the pot supports, transmitting a great deal of heat to them. Other stoves did not affect the flame as much even though their pot supports were also in contact with the flame. The pot supports of an FMS-116T stove have no where near the impact on the flame as do those of the BRS-3000T. I was also interested in pot stability. The BRS-3000T is a tiny little stove and of all the stoves I've got has the smallest span to its pot supports. Top row: An MSR Pocket Rocket 2, left, and an MSR Pocket Rocket, right. Bottom row: A Fire Maple FMS-116T, left, and a BRS-3000T, right. The BRS-3000T has the smallest span to its pot supports by far. Intrigued by the odd flame pattern I had seen at home, I moved immediately to field testing. I had heard that the BRS-3000T did not perform well in wind. I therefore chose a day with moderate winds for testing. Arriving in the field, I began setting up to test. Out of curiosity, I flipped over a 110 g canister of gas. The pot supports fit easily into the underside of the canister. The BRS-3000T is a small stove, and the pot supports don't have a particularly wide span. Pot stability is definitely an issue with this tiny little stove. The pot supports of a BRS-3000T are so small that they will fit in the underside of a 110 g canister. The nice thing about such small pot supports is that they will work well with small vessels, for example the 250 ml Sierra cup shown in the photo below. Pot stability is a little tougher with a larger (but not particularly big) pot like the 1300 ml Evernew UL pot shown in the below photo. I probably wouldn't go larger than a 1.5 liter pot on a BRS-3000T, and you'd be better served by keeping your pot size under one liter. The best fit would probably be for pots (or mugs or cups) from about 750 ml to 250 ml in capacity. I put approximately 750 ml (three cups) of water into the pot, fired it up, and waited. And waited. And waited. And waited. After about 10 minutes the water came to a low boil. The stove was not able to achieve a full roiling boil. I had heard that a BRS-3000T would struggle in wind, but I had no idea it would be this bad. All open burner upright canister stoves are impacted by wind, but I have never seen a stove this wind sensitive before. Even at highest output it could not bring 750 ml of water to a roiling boil, and this was not a particularly windy day. I would describe the winds as moderate. I had to put a weight on my ramen noodle wrapper to keep it from flying away, but it wasn't like cups were being pushed over by the wind, and the trees around me were not blowing way over or anything like that. These were pretty ordinary, common outdoor conditions, conditions that I probably wouldn't even take particular note of normally. Well, I was hungry, so I put my noodles in, and, after a bit... what the heck? Did I put the pot on wrong or something? My pot was clearly listing to one side like a sinking ship! Quickly, I grabbed my pot before my lunch took a tumble! Examining the stove, I realized that the pot support had bent. It may be a little hard to see here, but the pot support on the right in the below photo is bent outward and down with a slight twist. Note the bend and partial twist in the pot support on the right. All I had in the pot was about 750 ml of water and some ramen noodles. I mean c'mon, that is a very normal load for a stove. If I had put a 3 liter pot on a little stove like this maybe I'd understand, but 750 ml? That's trivial. A stove should be able to handle 750 freaking little milliliters. 750 ml is only 0.75 kg (1.7 lbs). Do not get distracted by the pot size. This is not a pot size issue. Read the Analysis section below. The real issue in this case is the wind and the design of the stove. Yes, I tested the stove on top of the picnic table. Yes, it would have been better to set it on the ground behind a rock or something, but c'mon! I ought to at least be able to boil water after 10 minutes on high. This stove is a really poor performer in wind, and there certainly shouldn't have been any deformation in the pot supports after 10 to 12 minutes. The pot supports of a BRS-3000T are exposed to a great deal of heat. Remember that photo I posted earlier? The pot supports absorb a lot of heat from the flame. After 10 minutes on high, they had absorbed enough heat that the pot supports deformed even though they weren't under a particularly heavy load. I noticed during use that the wind was blowing the flame toward the pot support that eventually failed. Said pot support was glowing brightly while the pot support opposite was barely affected. So much heat was channeled into the one pot support that even under a relatively light load of less than a kilogram, the pot support experienced "creep deformation" (or "creep failure"), the tendency of a metal to slowly deform under stress – a tendency that increases when both stress and heat are present. The way that the flame and supports are configured, the pot supports are blasted with heat. Magnify that effect with wind directing the majority of the heat to a single pot support, and you get creep deformation. Yes, I realize that 10 to 12 minutes is a little long to be running a stove, but, it's not a grossly unreasonable time to run a stove, particularly in wind. A stove shouldn't deform due to its own flame in such a short time. The stove should not have been designed such that the pot supports are blasted with heat – or they should have been made a little more heat resistant. Remember that photo I posted of the flame? Most stoves don't have that kind of discoloration in the flame. There's something peculiar about this stove and its design. However, there are plenty of people using the stove that are not experiencing any problems. It looks like quality control may not be quite what it needs to be with this stove. Combine poor quality control with a design that blasts the pot supports with heat, and you have a recipe for pot support failure. I can't exactly give a good recommendation to a stove that failed during testing. Neither can I give a stove that handles wind so poorly a good recommendation. Again, however, I'm aware that there are plenty of people who are using the stove and are not experiencing problems. It’s an inconsistent stove. Maybe you'll get lucky. Maybe you won't. Clearly there are duds out there, and even if you don't get a dud, the right wind conditions could still cause a pot support failure. Also, your pot supports could fail over time, as they did in Failure #3, above. Run the stove for 15 minutes on high with 2 cups of water on before taking it out on the trail for the first time. If your stove can handle a 15 minute run on high at home, then it's probably going to be OK out on the trail. If it fails at home, just buy another one. It's not like they're expensive. The chances of getting two duds are fairly low I would think. Make absolutely certain to shelter the stove from wind. If you fail to shelter the stove, wind may channel heat to a single pot support which may deform and fail. You should always shelter a stove anyway so that you're not burning through an inordinate amount fuel, but it's particularly critical on the BRS-3000T. Run the stove at about 50% to 75% of full flame to avoid overheating the pot supports. It'll take a little longer to boil, but you'll actually save gas this way, and you won't have so much heat blasting the pot supports. What impact will repeatedly blasting the pot supports with high heat have? I have received reports from people who had good results at first but whose pot supports deformed over time. So, there is the possibility that even if your stove is good at first that it may experience problems over time. BRS has a history of problems; some BRS stoves have been banned by countries in Europe due to repeated safety problems. If you really want a good ultra light canister gas stove, look into Fire Maple stoves. Fire Maple has a pretty good reputation. Their FMS-116T (sold in the US as the Olicamp Kinetic Ultra) weighs 48 g/1.7 oz. The Fire Maple FMS-300T (sold in the US as the Olicamp Ion Micro) weighs 45 g/1.5 oz. They're not super fancy stoves, but at least they don't channel so much heat to their pot supports that they deform and dump your dinner. Note the nomenclature on that last stove, the 300T. Sound familiar? That's right, the BRS-3000T is a cheap imitation of the FMS-300T. Do yourself a favor; get the real thing. Yeah, it's 0.8 oz/20 g more weight, but at least it doesn't bend after ten minutes of use. My opinion. YMMV. And of course there's the Snow Peak LiteMax stove at 1.9 oz/54 grams, which is very compact while still having good pot stability. I can't recommend a stove that failed during testing even if, yes, the circumstances were a little bit unusual. However, if anyone were to use a BRS-3000T, it should be a soloist. This is not a good stove for two people, and it is clearly not a group stove. I would not recommend the BRS-3000T for snow melting. Snow melting usually requires that a stove be on for longer periods of time although there are people who are doing just that, snow melting, and are not having problems. Cheap. Prices vary, but I think I paid about $15 for it, including shipping, on Amazon. Light. Twenty five grams (0.9 oz)! Fits small cups, mugs, and pots well. Absolutely abysmal in wind. A windscreen will help, but there are times where even a windscreen may not be enough. Pot supports get heavily hit by the flame and could fail. Overly short valve control handle. Sorry I couldn't give a better report. I was really hopeful about this stove but am now quite disappointed. Had I bought it locally instead of from China, I would demand my money back. I purchased this stove with my own money on Amazon just like anyone else would. I have no financial relationships with either BRS or Amazon. If I did, I might be giving a much nicer review, don't you think? I am an independent stove reviewer. This is my review; it is no one else's. Ah, the perennial question among those who wish to save weight: Which is lighter, gas or alcohol? 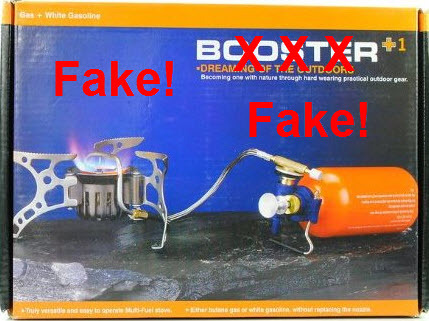 I've visited this question before, but now that super ultralight (SUL) canister gas stoves are available, it's time to re-visit the subject. The BRS-3000T, the world's first super ultralight (SUL) canister gas stove – a mere 25 grams! Basically, if a canister stove weighs less than an ounce (28 g), that's SUL in my book. If a stove weighs more than a quarter pound (113 g), that's heavy. I think that's a fair and reasonable categorization, given the state of the art. But, Hikin' Jim, uh, isn't this post about comparing gas to alcohol? All you've done so far is talk about gas. Ah, yes, quite right. So, for a given trip, which is lighter, alcohol or canister gas? Let's do some math. If you don't like math, then by all means skip down to the discussion, but in order to really feel like I'm on solid footing here, I need to go through the details. First, for the purposes of this discussion, I'm going to assume that our gas stove and our alcohol stove set ups weigh about the same. In the case of the BRS-3000T, that would be 25 grams. Second, I'm allocating 30 g for the alcohol container and 100 g for the gas canister. Those may not be representative of all containers and canisters everywhere, but let's just go with it for now. For this example, assume the individual is going to boil 500 ml of water twice a day. Based on that assumption, I allot 40 ml of alcohol or 20 grams of gas per day. Both of those could be overstated, but these are round numbers for comparative purposes. The specific gravity of alcohol is about 0.8, so our 40 ml/day of alcohol is going to weigh about 32 g/day. I've laid out an example in the below chart, based on a 5 day trip. By the way, this spreadsheet is available for download if you want to run your own numbers. See the "Get your own danged spreadsheet" section of this post. Now, the "conventional wisdom" is that a trip shorter than X days is going to be lighter with alcohol but that all trips longer than X days are going to be lighter with gas, the presumption being that since gas is more calorically dense, one would eventually overcome the heavier weight of the steel canister in which the gas is housed. There's some disagreement on exactly what "X" is, but this is the basic argument, that a trip longer than X days will be lighter with gas. But is it really true? Well, take a look at the bottom line, total weight, in the chart above. For a trip of 5 days, alcohol is just slightly lighter, by 20 g, than gas. Ah! There you go. So, for anything beyond that, gas will be lighter, right? Well, maybe not. Look at the far right column. Do you see the cell labeled "Total Gas Weight"? Look at that number there, 100 grams. So, let's see, one more day than five would be six days, and on the sixth day, we'd add another 20 grams, our daily allotment, giving us a total of 120 grams of gas... But our canister only holds 110 grams of gas. Oops. Therein lies the problem with the "conventional wisdom". Canister gas is only sold in lots of roughly 4, 8, or 16 ounces (about 110g, 220g, or 450g; brands vary). The problem with the "conventional wisdom" is that on day six you have to size up to the next larger canister, and... alcohol becomes lighter again. Now, are my numbers for every person for every trip? Probably not, but in general the rule should hold: Gas will be lighter after a certain number of days – until you have to size up to the next larger canister. Here's how it maps out, in the chart below. Negative numbers in the difference column mean that gas is heavier. Positive numbers mean that gas is lighter. For days one through four, alcohol is about 5 to about 2 ounces lighter. On day five, it's less than a one ounce difference between the two, but alcohol is still a bit lighter. But on day six, the amount of weight saved by using alcohol increases to 1.3 oz. Why? Because we had to size up to the next larger canister. By day seven, you're at basically a break even. For days eight through ten, finally gas is actually lighter. On day eleven, alcohol goes back to being the lighter weight option again. Why? Because we had to size up to the next larger canister. Finally, starting on day twelve, gas is always lighter, increasingly so, for the remainder of the three week period that is mapped out in the above chart. You will note in the above that the progression is not straight line (non-linear). It jumps up disproportionately because the weight of a canister does not increase steadily. The first 110 grams of gas requires 100 grams of canister weight (about a 1;1 ratio). The next 110 grams only requires 50 additional grams of canister weight (about a 2:1 ratio), and then the next 200 grams only requires 60 additional grams (about a 4:1 ratio). Incidentally, I think we can see here that it's going to generally be better to carry one larger canister rather than multiple smaller canisters for a given amount of gas. Trips of one to four days have reasonably good weight savings when using alcohol. Trips of five to eight days don't show a whole lot of difference either way. Trips longer than eight days will generally see better results with canister gas, with the exception of day eleven where alcohol will be lighter. Get Your Own Danged Spreadsheet! Stove weight, once for alcohol and once for gas. Container weight, just for alcohol. Gas container weight will be calculated for you based on how much total gas your trip requires. Fuel per day, once for alcohol and once for gas. Once you enter the above values, the spreadsheet will calculate the total weight for both alcohol and gas. The results will be displayed in both metric (to the left) and English (to the right) units. I hope it's helpful to you. Does any of this matter? Aren't the weight differences too small to care about? Maybe. It depends on the individual. There are gram weenies that count every gram. There are ounce counters that will save every ounce they can. And then there are people for whom a few ounces really don't matter much either way. However, considering how excited people get over a stove that weighs about an ounce and a half (FMS-300T) vs. a stove that weighs about one ounce (BRS-3000T), I'm thinking that there are people that will be interested. Regardless, the spreadsheet is here if you want to use it. Whether or not it matters, well, that's up to you. Let me leave you with one last thought: Sometimes starting pack weight isn't the only issue. What do I mean by that? Well, recall that you have to burn more alcohol per day to boil the same amount of water. Your pack weight will fall faster with alcohol. With gas, your pack weight decreases more slowly, and you've always got at least a quarter pound lump of steel in the bottom of your pack – the canister. If you're planning a trip where you've got a big first day, then of course you want to minimize your first day's weight. But if you're planning a trip where there's a rough go in the middle or end of the trip, you might actually want to choose alcohol since your pack may be lighter – at the time that you do the rough section – despite having a higher initial starting weight. If you're going to have big climb, a tricky scramble, or a XC route toward the end of the trip, it might make sense to bring alcohol even if it were heavier at the start of the trip.